You are here: Home / Money Advice / Are your online finances secure? How secure are your online finances? Find out your credit score for further information on online fraud and spotting potential personal security issues. When it comes to handling our day to day finances, we have never had it so good. At the click of a button we can move money around, check account balances and pay bills. But have you ever stopped to think how safe your data is online or how easy it would be for a criminal to steal your identity, open accounts in your name or gain access to your money? A stray bank statement in your rubbish bin, a PIN number written on a piece of paper or personal details intercepted online – these are just some of the ways fraudsters can steal your identity, and the problem is getting worse. Thousands of people everyday are victims of identity theft and fraud and in 2013 alone, this crime cost fraud victims £3.7m. Have you already become an identity fraud victim? Many identity fraud victims are blissfully unaware of the fact until their bank accounts have been emptied or they have debt collectors calling about a debt they knew nothing about. When fraudsters have enough information about you, they can pretend to be you and open up lines of credit. Credit cards, store cards and mail order catalogues are just some of the ways identity thieves can cash in with your personal details. There is one sure way you can use to see if any credit accounts have been opened in your name and against your current address. If you have never taken the time to find out your credit score and credit file before, now is definitely the time to do so. Your credit score and file shows potential lenders how much credit you currently owe and how well you pay your debts back. It can also show you all of the credit accounts you have open. By checking your file, you can see all credit accounts, when they were opened and the companies they are with. If there are any entries that you do not recognise, you should query these immediately, either directly with the lender or with your credit reference agency. Did you know you can check your credit score online in moments? It’s easier than ever to check your credit score and history online. By filling in a few details you could have access to your personal credit details in moments and check whether you have been a victim of online identity theft. 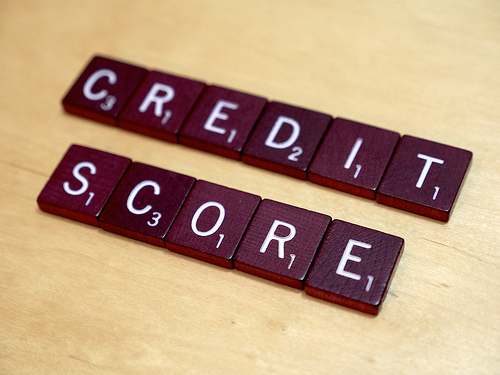 Your credit score is also the rating system that is used by lenders to decide whether you are a creditworthy borrower. If you are thinking about taking out a line of credit in the future, checking your credit score before your lender does, can give you peace of mind that you will be accepted. On the flip side, if there are problems on your credit file such as fraudulent activity, late payments or incorrect information, you can go about taking the steps to fix these problems and improve your overall credit score. You can’t always avoid identify fraud, but you can nip it in the bud before you are scammed out of thousands of pounds or your credit file is damaged beyond repair. A quick check of your credit file is all it takes to set your mind at rest or prompt you to take action. Click here for further information.